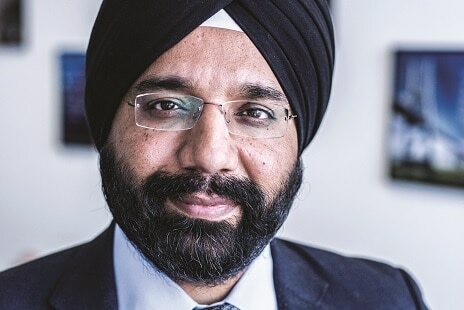 Satvinder Singh was assigned to a securities services role over 20 years ago following a three-month graduate programme; now he’s heading up Deutsche Bank’s global securities services business. Here he tells Richard Schwartz about his journey and why the local custody business is the place to be. Looking at the securities services landscape over the past decade or so, there has clearly been consolidation at the global custody level and in the majority of individual markets. How has Deutsche Bank decided on its strategy of focusing on a national/regional approach? Where we pride ourselves is on local market connectivity and on our people on the ground with the ability to help clients navigate a complex landscape. In the 33 markets where we offer local custody, we have often played an important role in helping open up markets. Over the years we have helped a number of markets move from physical to automated processes. As capital markets evolve, we see our role as facilitating that evolution, understanding what works in the local environment and enabling clients as they spread their activities across geographies. We’ve stayed pretty true to that. So how does not offering global custody allow you to allocate your resources more effectively? Clarity of purpose is important to us. We are hugely committed to the local custody business; we are in 33 countries globally with very diverse clients, including global custodians, asset managers, and brokers. We sold our global custody business many years ago. We’d much rather continue focusing at a local level than try to make an entry into the current global custody environment where players are strong, but investing significant sums to remain so. It’s just not something our clients are asking us to get into. What about local clients investing abroad? It depends what their requirements are. For example, a domestic fund services business in an Asian market may be looking to expand to another market in the region. We may well be able to offer an appropriate solution. But a large US manager looking for global custody services, that’s not Deutsche Bank. We could offer to support them with a multi‑market solution, but not a global custody solution. Our clients are very comfortable with the limits we’ve set to our remit. Have common endeavours served the industry well? Are there areas where common endeavour is now called for? Let me give you two examples of that. One is TARGET2-Securities (T2S): a multi-year project that has allowed Deutsche Bank to innovate in the face of unprecedented change in the custody space. It’s one of those programmes where the whole industry came together: custodians, clients, market infrastructures and regulators. We all worked together to make it happen. Another good example is the European Post-Trade Forum, which is trying to bring the industry together and look at transactions end to end. So as we get to grips with CSDR, EMIR, MIFID II and the plethora of regulatory and infrastructural changes happening in Europe, we want to make sure we’re approaching them in a consistent way. 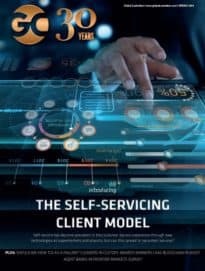 What do clients want out of all this? They want simplicity, transparency, and costs to come down in a harmonised environment. They don’t want differing settlement and buy-in cycles and penalties. There the industry is making some in‑roads. Where I’d say we haven’t made much improvement – and where some of the biggest risk in the business remains – is corporate actions. We’ve all talked about it for a long time. At least the Post Trade Forum is a step in the right direction. Does the fact that exchanges are in competition mean that they are unlikely to pressure issuers to standardise their corporate event information? I’m not sure. If you trace back a lot of what’s been achieved in the industry over the years, competition was often initially cited as an obstacle. Why would CCPs want interoperability? Why would CSDs support a centralised settlement system? We have to turn the argument on its head. What’s good from an industry perspective? Looking back over my own career, when physical became ‘demat’ – when securities moved from physical to digital – the fear was that fees would come down drastically. But volumes went up, efficiencies went up and that helped bring more money in. If we genuinely try to reduce complexity and promote efficiency, that in itself will encourage more investment. You mentioned T2S. Have clients really got the message about T2S? It depends on the client base you’re talking about. Some clients have already made their key decisions about their T2S strategy, whether it involves going direct, using an agent bank, an ICSD or a combination. Some of the large broker-dealers are in the process of making up their mind. Remember, T2S doesn’t force you to do anything. If you have an agent bank to access a particular EU market, nothing in T2S forces you to change. At the same time, the fact that T2S is being introduced in multiple phases before it is fully live across Europe means that some market participants don’t feel a particular time pressure to decide. That pressure will, however, increase. A review of the options could result in a decision to leave things as they are, to consolidate with one provider, to go direct, or use a combination. There are multiple possible solutions. We have spent a lot of our time in understanding that. Unlike other aspects of market reform, there is no single solution for T2S. The Deutsche Bank client solution for T2S is, in fact, making multiple solutions available. We are giving optionality back to the clients. Some clients may want us to handle asset servicing only, some my want us to act as account operator, some may want us to do everything. The key thing about T2S is that it starts with settlement, but doesn’t end there. T2S should not be thought of as a simple settlement vehicle; it has an impact on collateral, liquidity and end-to-end costs. That is where the innovation is. It is where Deutsche Bank has re-thought how to approach custody for the medium to long term. Can you meet regulatory and compliance requirements without drawing away resources from business development? My peers and I have a balancing act to do. We invest for stability, because there is nothing you can build without the foundation being strong. We also have to build scalability into our models so that we can take on increased volumes efficiently and in a risk free manner. Thirdly, we have to take a view on what the regulatory landscape will require of us. Additional reporting requirements are coming in and those are non-negotiable and must be implemented within the required timeline. Once you’ve addressed all of these investment requirements, you’re left with a pot over which you have discretion. Depending on your organisation and its investment lifecycle, you may have something left after the non-negotiables or you may have very little left. From that pot, you will invest in new idea generation, new products, and maybe new geographies. Deutsche Bank has been very open about how much money it is putting in to its transaction banking business. Do you think blockchain is as much of a potential disruptor of your business as it is touted to be by some of its more enthusiastic proponents? There are two ways to look at regulation and technology, particularly blockchain. One is as a disruptor. The other is as an enabler. Some of the best innovations we’ve introduced are because of T2S and the optionality we’ve provided clients. These are a big part of our digitalisation agenda. Regulatory and infrastructure change can also be an enabler for thought leadership and a catalyst for new idea generation; similarly with technology. First you have to get out of the mindset that blockchain will disrupt the business. I think it will enable us to look at the business slightly differently. It may ease the pressure points in clearing and settlement. Any technology that allows simultaneous real-time transfer will help us change the business not necessarily in a bad way. We have innovation labs in three locations globally, but technology is not a solution, it is a way to get to a solution. Is there any business opportunity or challenge on which the business has stuck its head in the sand? Where I would challenge myself and some of my peers is to look at other industries and benchmark ourselves against them. Have we looked at what best practice looks like in other industries? What can we learn from them? How for example have pharmaceutical companies dealt with regulation? How do online retailers such as Amazon deal with repricing?